$50 million in annual revenue. David is also the co-founder and Managing Director of BMC’s sister firm, Brixey & Meyer, Inc. Brixey & Meyer is a regional CPA and business advisory firm with offices in Dayton, Cincinnati and Columbus, Ohio. David co-founded the firm in 2002. Brixey & Meyer is recognized as a leading provider of accounting and business advisory services in the region. Ernst & Young, LLP leading audits, including employee benefit plan audits, reviews and other attest engagements for nonprofit entities, publicly and privately owned companies, hospital systems, and colleges and universities in Central and Southwest Ohio. Patrick is Principal at BMC. At BMC, Patrick’s responsibilities include due diligence, deal structuring, and deal sourcing, as well as working with business partners and portfolio companies to foster growth and return for all stakeholders. Prior to the launch of BMC, Patrick consulted on various transactions for many of Brixey & Meyer’s clients on the buy-side and sell-side. 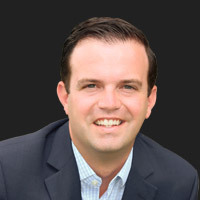 Prior to joining Brixey & Meyer and BMC, Patrick spent seven years at Ernst & Young LLP (“EY”). During the latter four years at EY, Patrick worked in EY’s transaction advisory practice consulting on buy-side and sell-side transactions for strategic and financial buyer on deals ranging from $10 million to over $2.8 billion. Industry experience in these transactions includes consumer products, manufacturing, distribution, government contracting, healthcare and food services. Patrick spent his first three years in EY’s Assurance practice working on audit engagements for large publicly traded, private equity held and privately held clients in a variety of industries. John is an Operating Partner at BMC. John works with BMC’s portfolio companies in developing and executing on the strategic initiatives to maximize value for all stakeholders. Prior to joining BMC, John was founder and CEO of a boutique management consulting firm which for the past 15 years has helped public and private businesses develop strategies targeted at accelerated valuation growth. During this tenure, John led as an interim CEO or Executive Chairman, companies that spanned industries including public commercial finance, commercial real estate, industrial technology and healthcare. Prior to this, John was founder and CEO of a commercial equipment leasing business which reached $750 million in assets in less than eight years and was sold to a public bank in 2003. Through John’s accomplishments with his business, he was a finalist in 1998 and winner in 1999 of Ernst & Young’s Entrepreneur of the Year Award in the Emerging Company category. John has served on many for-profit and non-profit boards as a Director, several as Chairman, and continues to as serve as a member of the Advisory Board of The Garage Group (Cincinnati) and a Vice Chairman of Second Wind, Inc., an affiliate of JH Ranch ministries. Pat is the Director of Shared Services at BMC where he is responsible for overseeing the back-office operations (accounting, human resources and IT) of the BMC portfolio companies. 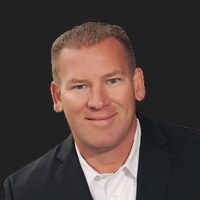 Pat has extensive experience serving as the CFO for numerous businesses over the past 35+ years, including distribution, sales and marketing, professional services, real estate and manufacturing. Most recently, Pat served as the CFO and oversaw the sale privately held company twice in a period of two and a half years via an ESOP and a private equity transaction. Prior to joining industry, Pat started his career at Ernst & Young in the assurance practice where he worked on audit engagements for privately held and publicly traded clients in a variety of industries. In addition, Pat enjoys serving his community through civic and philanthropic organizations including serving one term on the Centerville City School’s board of education (2012 – 2015) and is currently serving on the board for the Dayton Foodbank.